During uncertain times, the possibility of identity theft rears its ugly head in different ways. 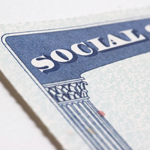 During the best of times, we still have to worry about nefarious characters obtaining our Social Security or credit card numbers, and perhaps withdrawing money or opening accounts in our name. What if, for political reasons or something else, someone were to access your criminal record and create a lengthy one where none existed before? How are you going to prove you’re clean before the powers-that-be whisk you away to jail? Same with your driving record or medical history. Messing around in areas like this can be more than a nuisance. It could literally ruin your life. That’s why we call commandment #9 “Thou shalt protect your own F.I.R (Finances, Identity, and Records)”. But how can you vaccinate yourselves against attacks like that? Never fear. We’ll teach you. In fact, future shows will contain interviews with experts who will give you practical, effective strategies to protect yourself. What if you want to take yourself off the grid entirely? How would you remove any trace you existed from the multi-leveled mingling of databases around the world? Luckily, Jason Hartman has a show for that too. Stay tuned to learn how to do all this and more.